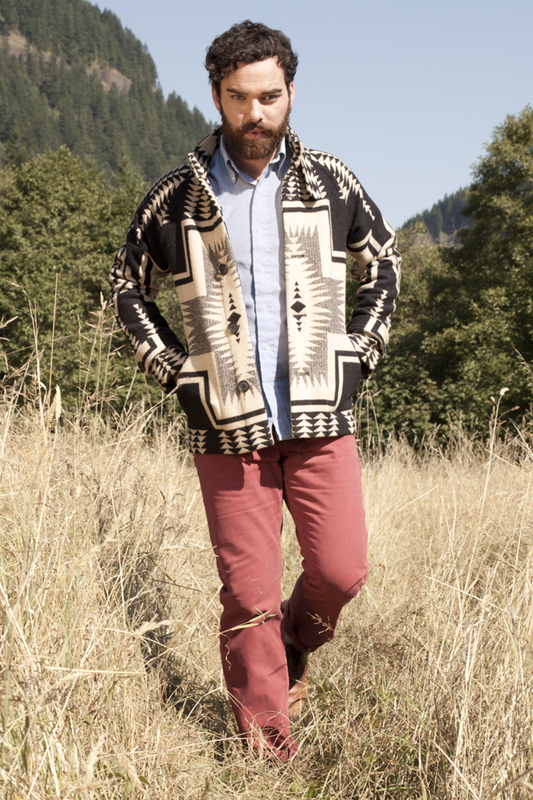 Bowen Ames is an artistic director and stylist originally from the Adirondack Mountains of Northern New York—he was born of a hunting father who has, to this day, been a source of inspiration for his evolving style. After working in Manhattan, Ames notes that he learned to appreciate the craftsmanship of clothing which quelled any dependency on trends. Upon moving to the oft-parodied Portland, Oregon (where he now lives), he realized that men of all ages shared a similar appreciation for well-made clothes—this group of men (most woodsy in appearance) could live quite comfortably wearing wool and denim 365 days a year (weather permitting, I’d imagine). As for his beard, it is celebrating its seventh birthday, and he has no plans to shave it (at least not tomorrow, and likely not next week). Check out the photoshoot by Neil Dacosta (Hair and makeup was provided by Nica Demaria) that Ames conducted for BEARDED, and my interview with the beardo after the jump. How important is your beard to you? Is it merely an affectation, or is there a story behind it? I don’t feel it holds any major importance, but it is very much what I expect to see when I look in the mirror. As for a story: I guess I’m the story behind my beard, right? Could you shave it tomorrow? If so, how often do you shave it entirely, or trim? I’ve kept this beard for the last seven years. I don’t think I could go to back to a bare face comfortably at any point in the near future, but I’m not entirely opposed to the idea that my style might someday trend away from the beard. Still, it’s a stretch of the imagination to think of shaving it tomorrow morning. I totally enjoy grooming my beard, so I touch it a lot—mostly in private though. I really enjoy the sense of ritual in taking care of it. I like deep conditioning and combing with a natural bristle brush. Recently I have been fond of massaging in a light touch of solid colognes with an olive oil and beeswax base. I have a favorite scent that smells like a violin in an attic—a sort of aged cedar with a hint of musk. 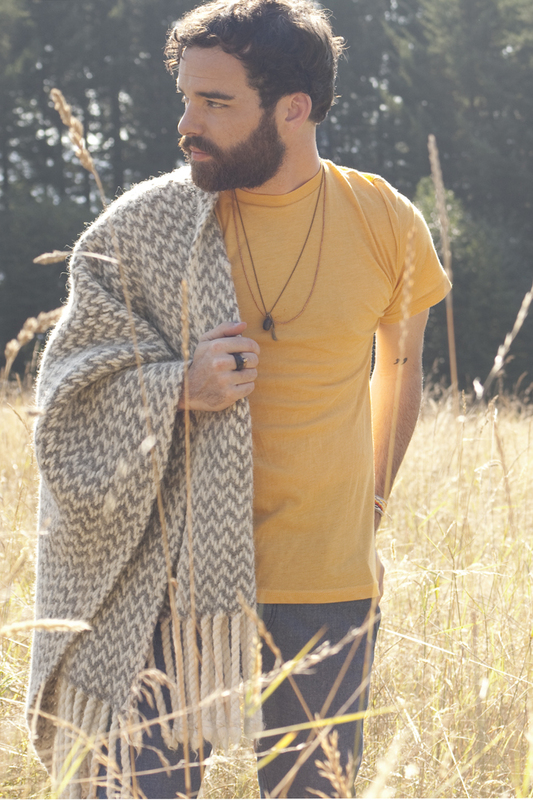 Would you say your beard is an extension of your personal style, or have you forgotten its even there? It’s certainly a major part of my personal style but I tend to forget it is there until someone compliments me on it. Then I get really bashful and awkward about it. It might be more accurate to say that it’s an extension of my personality—I’m a somewhat casual dude but I take pride in my appearance and enjoy playing with aesthetics. What would you say is your personal style? I know it is a rather over asked question, but what inspires you to put together an outfit in the morning? I think most people embody a style that speaks of their personal story. I grew up in the Adirondack Mountains of Northern New York where my father was an avid hunter and outdoorsmen. I moved to New York City at eighteen for art school and stayed for about 7 years, taking a job on the Upper East Side. I think it was at some point thereafter that I dubbed my style that of a scholarly lumberjack. The phrase still makes me grin and I’ll admit to using it as a guide while I’ve assembled my wardrobe—I’d attribute my appreciation for denim and wool to my dad. But I think New York taught me to seek out garments made with sophistication and structure. 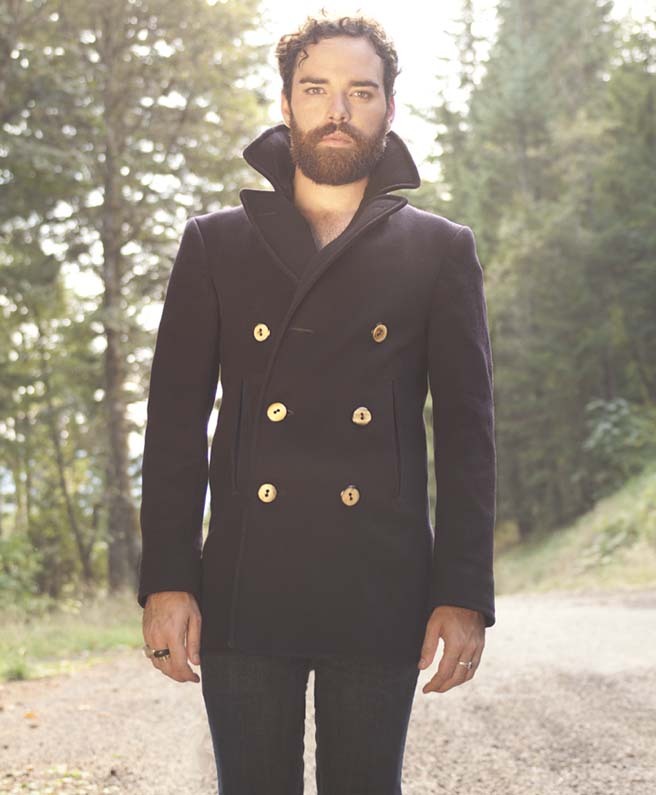 I love how simple but sleek a well-made Peacoat can be. I love briefcases and footwear crafted with rich leathers. Today in Portland, I still trend towards this look but have embraced my naturalist/bohemian/mythical side a bit more with vibrant prints and hand-forged jewelry. Is there one item in your wardrobe that you would never part with? What is it? There are a few: My boots to start. 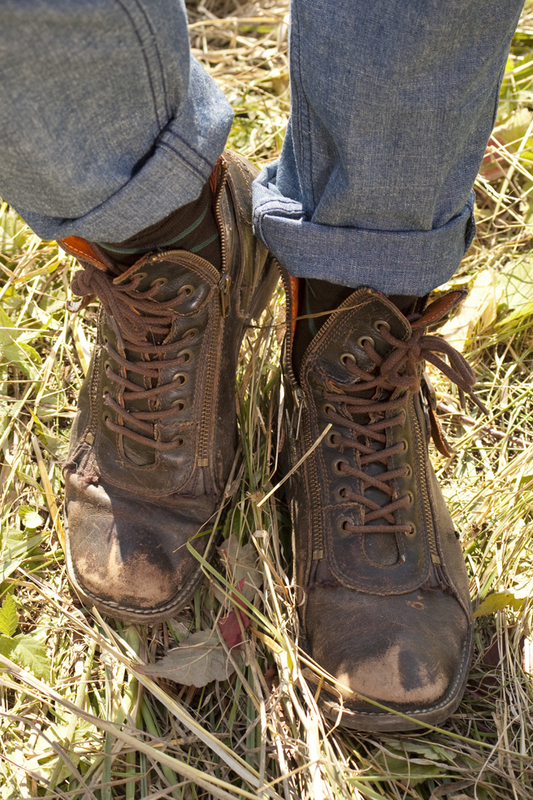 I have one pair that have been with me for a good 10 years now – they’re black with a double zipper, brown laces, and full leather upper with a heel strap. There’s something about them—they’re ornate but austere, completely comfortable while incredibly durable. They’re a go-to for most daily activities. I could also never part with my collection of necklaces and pendants. I love the stories behind each piece. Even if I wear one under my shirt, I’ve always got a little bit of jewelry around my neck these days. It has become a sort of armor for me and the final touch before leaving the house. You live in Portland, OR. Immediately images of burly men wearing Tanner Goods comes to mind. How accurate is this statement? It’s fairly true. Portland men, no matter their age or profession, tend to have beards and demonstrate a rugged sense of style. What struck me after moving from New York to Portland is the seemingly relaxed nature of that style. I say ‘seemingly’ because, in actuality, an enormous amount of attention goes into the design of these rugged, austere garments. There is a huge appreciation for the artisanal and sustainable approach to menswear in Portland—dudes here seek out items that are built to last and live through fluctuating trends. While a wool plaid shirt may come and go within the larger world of men’s fashion, a beautifully tailored and well-cut shirt with a really pleasing colour-story will always be appreciated in Portland. Furthermore, it suits the climate and so one can expect to see it come back time and again regardless of trends. Is menswear one-dimensional in Portland (and what outsiders would expect), or is there a growing fashion community? 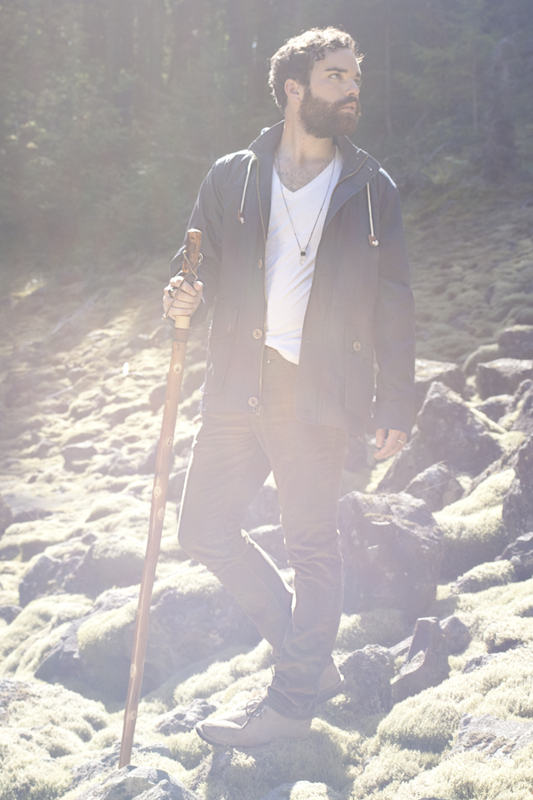 There are definite consistencies in Portland menswear that one can expect and rely on. Jeans, boots, wool, and raingear are just part of our habitus. 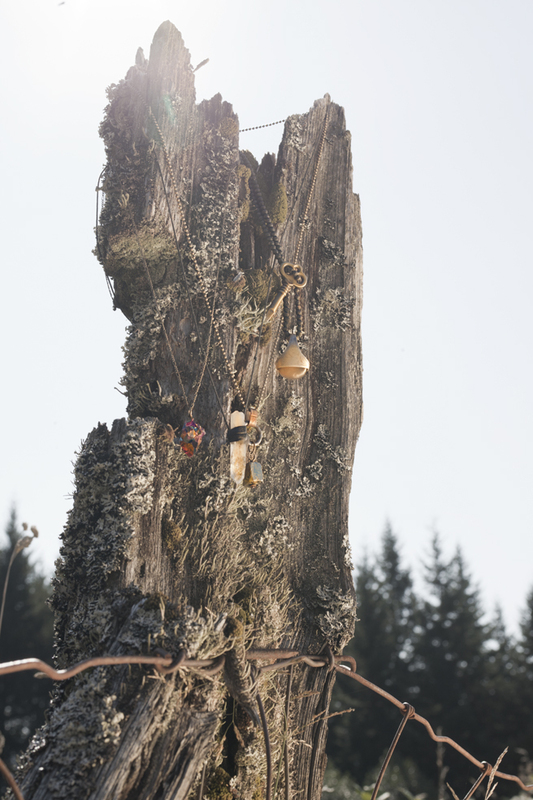 We go hiking a lot—It’s like our version of attending an art opening. But still, the fashion community in Portland is really quite vibrant. I love Portland designers like Adam Arnold, Gretchen Jones (formerly of Portland, now of New York), and Jayme Hansen. And I’m surprisingly taken with some of our local brands: Bridge and Burn, Church and State, Pendleton, NAU, and yes, Tanner Goods. Moreover, what continually impresses me is the overarching design community here. From graphic designers to furniture designers, Portland is filled with individuals who appreciate aesthetics. What tips would you give to someone who is trying to grow a beard like yours? Be at Zen with however your facial hair grows and find the best way to style it. If you’ve got a patchy or inconsistent pattern to your fur, a shorter beard or stubble is probably better for you, or who knows, try a mustache. Just do what works best for your face. If you’ve got a full and thick beard, grow it out and trim it back to a length that still chisels your features and lets the lines of your bone structure show through. If you’re looking for length, let it come from beneath your jawline and chin. Hello, I’m a regular reader of your posts on TorontoLife 🙂 An interesting news scoop was forwarded to my work email today, and I just couldn’t find a contact email address for TL on the site so I googled your name. Can you send me an address that I can send it to? Dear Happy Socks, work with me, okay? If you are a reader of Dressed for Dinner and would like occasional e-mail updates, please subscribe below! I'm dressed! Sign me up!